(RxWiki News) People with kidney disease are told to steer clear of drugs like Motrin and Aleve. Nonetheless, it seems that kidney patients are not taking this advice to heart. Kidney disease patients are using nonsteroidal anti-inflammatory drugs (NSAIDs) - drugs that relieve pain and fever and reduce swelling and inflammation - just as often as people without kidney disease. "Ask your pharmacist about NSAIDs and kidney disease." It is recommended that most people with chronic kidney disease avoid NSAIDs - which include over-the-counter drugs like Motrin (ibuprofen), Aleve (naproxen), and Bayer (aspirin) as well as prescription drugs like Celebrex (celecoxib) and Feldene (piroxicam). "While the evidence surrounding the risks of use in those with chronic kidney disease is mixed, it is generally accepted that NSAIDs should be avoided, if possible, in those with the disease," says Laura Plantinga, Sc.M., from the University of California, San Francisco and lead author of the study. "The majority of NSAIDs used in this study were over-the-counter, suggesting that physicians may not be aware of the extent of patient NSAID use. Even when NSAIDs are reported by the patient or prescribed by the physician, both physician and patient may be unaware of underlying, often silent, early chronic kidney disease. From their study, Plantinga and colleagues found that five percent of patients with moderate to severe kidney disease were currently using any kind of NSAID on a daily basis. Current use of any NSAID was reported by 2.5 percent of those with mild kidney disease and by 2.5 percent of those without the disease. 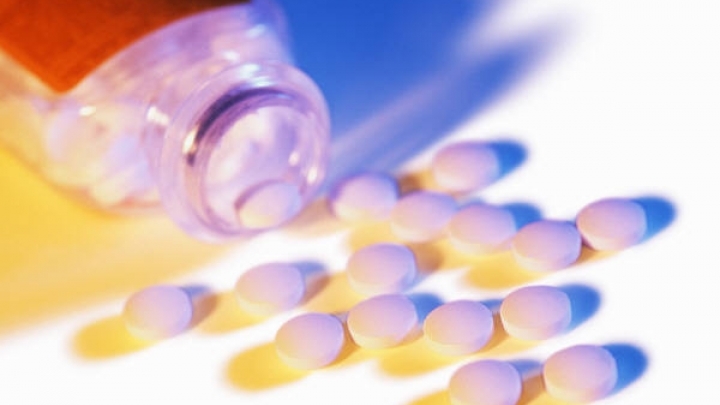 Among those with moderate to severe kidney disease who were currently taking NSAIDs, a little over 10 percent had a prescription and about 66 percent had used the drugs for at least one year. Even if patients were aware they had kidney disease, they did not reduce their use of NSAIDs. While these findings may be cause for concern, the total number of patients using these drugs is still very low. Yet, the study's authors recommend that doctors and other health care professionals become aware of NSAID use among their patients with kidney disease. They should be evaluating the use of these drugs in their kidney patients. According to Plantinga, "To avoid potentially greater risk of chronic kidney disease progression, physicians should assess (1) chronic kidney disease status in those at risk for the disease (due to diabetes, hypertension, age or other indications) and (2) NSAID use---including over-the-counter drugs---among their kidney disease patients. Armed with this information, physicians and patients can make informed decisions regarding the risks and benefits of NSAID use on a case-by-case basis." For their study, Plantinga and her fellow researchers used data from the National Health and Nutrition Examination Survey between 1999 and 2004. Over 12,000 adults 20 years of age and older responded to a questionnaire asking about their use of over-the-counter and prescription NSAIDs. Participants were categorized as have no kidney disease, mild kidney disease, or moderate to severe kidney disease. The results of this observational study are published in the Annals of Family Medicine.